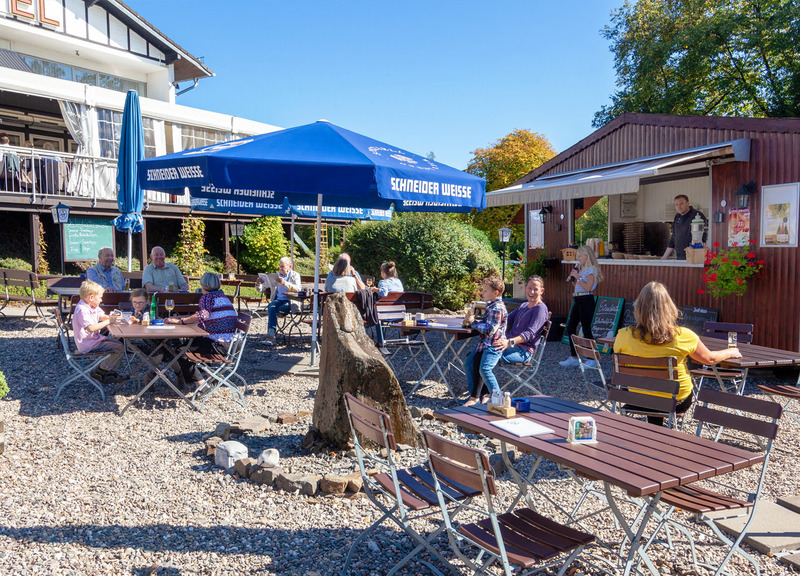 Enjoy in good weather and the quiet atmosphere a cool (Bergisches Land) beer, a burger or other snacks. Lüdi’s beer garden is perfect for a stopover when traveling in and through the countryside. Whether the beer garden is open, look at the top right of the green beer mug. E-bike station on our beer garden! Free juice for your e-bike! The e-bike stations in the Bergische Land you can see here.